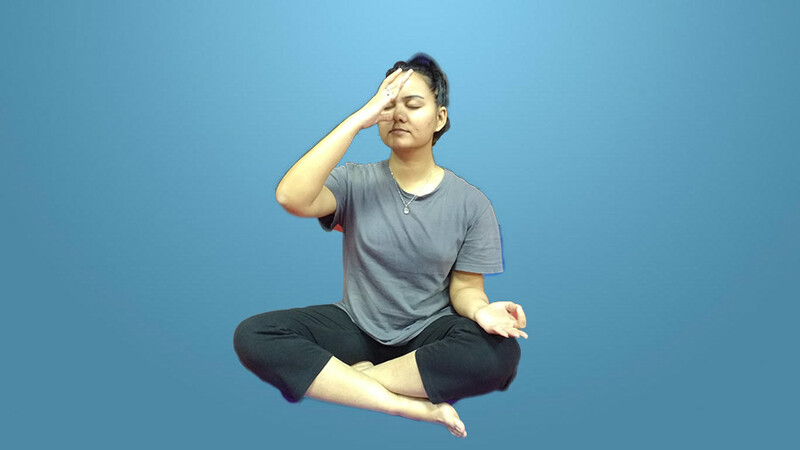 Nadi Shodhana Pranayama or the Alternate Nostril Breathing Yoga is not just a breathing exercise, but a yogic technique that involves controlling of subtle ‘Pranic energies’ (or vital force or bio-energies) of our body flowing through specific channels. Its benefits include higher concentration, tranquilizing the mind, purification of blood and psychic network, harmonizing the pranas, balancing the two hemispheres of the brain, regularizing the release of hormones, preparing oneself for kundalini yoga etc. Nadi means subtle energy channel whereas Shodhana means purification. Therefore Nadi Shodhana means purification of the subtle energy channel. Nadis are subtle energy channels in the human body that carry the Pranas, the vital energy through the body, but can get blocked due to various reasons. The Nadi Shodhan pranayama is a breathing technique that helps clear these blockages and is therefore also called the psychic network purification. The best time to practice Nadi Shodhana Pranayama is at dawn. If this is not possible for any reason, another good time is just after sunset. 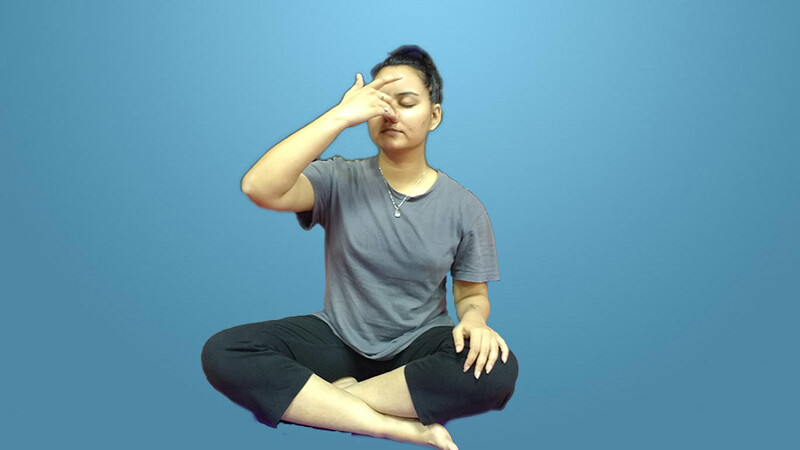 The regular practice of the pranayama is also very important as it increases strength and willpower and also acclimatizes the mind and the body to the increased pranic force. All Pranayama practices should be performed after Shatkarmas (six cleansing processes) and asanas, and before meditation practice. Nadi Shodhana pranayama should be a part of every pranayama session, as its balancing and purifying effects form the basis for successful pranayama. Sit comfortably on a Yoga mat with spine held in the upright position. Place left hand on the left knee. Raise the right hand and close the right nostril with the right thumb. Inhale gently through the left nostril for 4 seconds without straining. Close the left nostril with either the ring finger or middle finger or both and exhale through the right nostril counting for 4 seconds. Keeping the left nostril closed, inhale through the right nostril, keeping the count same and in the same manner. At the end of inhalation, close the right nostril and exhale through the left nostril, again keeping the same count and the same manner. Practice 3 to 5 rounds. The duration of inhalation and exhalation can even be 2 seconds to start with, if 4 seconds are strenuous, and can go up to 20 seconds or beyond depending upon the individual capacity and practice. Once the practice of ratio 1:1 is perfected, it can slowly be increased to 1:2, but without straining. Do not force the breath while inhaling or exhaling. Do not breathe from the mouth or make any sound while breathing. There should be no sound as the air passes through the nostrils. Do not apply any pressure on the nose while breathing. Place the fingers and thumb very lightly on the nose. Nadi Shodhana Pranayama balances the flow of breath in both the nostrils. It calms the mind and helps the practitioner develop a higher concentration. The technique increases the awareness of the breath. Alternate Nostril Breathing works therapeutically for most circulatory and respiratory problems. This Pranayama balances the left and right hemispheres of the brain, which correlates to the logical and emotional sides of a personality. As the name suggests, this pranayama purifies and balances the Nadis (the subtle energy channels), thereby ensuring a smooth flow of pranas through the body. The regular practice of Nadi Shodhana Pranayama helps maintain the body temperature. It releases accumulated stress in the mind and body. Nadi Shodhana Pranayama purifies the blood of toxins. Nadi Shodhana Pranayama relaxes the mind and prepares it to enter into a meditative state. Its regular practice for just a few minutes every day helps keep the mind calm, happy and peaceful.